Trump Brown Shirt type supporters are elated at his win even though they have nothing but campaign rhetoric to gauge any sincerity on his part while Democrats vow steps to oppose and disrupt his every move. Trump himself may be in for a shock as he realizes he is neither King nor Dictator and will have to work with Congress if he actually desires to get much done. Of course, that would mean Congress will have to step up and actually do their job, unlike they did throughout much of the last eight years. I’d recommend buckle your seat belts as we are in for one hell of a ride. Locally we saw the old idiom, “Politics makes strange bedfellows” once again proven true as many Democrats and Republicans banded together in cooperation to oust controversial County Councilor, David Madore from office. Mission accomplished as Madore went down in flames in the primary that saw him display his sour grapes and inability to gracefully accept defeat as he threw an online tantrum captured by this blogger before he wised up and deleted it. I once wholly supported Madore, but his actions taken directly against me saw that change as he opened my eyes to what a phony he is. No doubt the community will continue to hear from him as he will continue his efforts to impose fringe rule in the guise of he and he alone knows best. The absolute worthlessness of the Clark County Republican Party then went on full display as party leadership turned on only the Republican candidate defeating Madore, publicly announcing their opposition to him in the general election. As happened in several other races the Clark County Republican Party either stayed out of or endorsed opponents of Republican candidates, party opposition seemed to help them more to hurt them as they all won their races locally. How funny to then see the party claiming their wins as evidence of what great leaders within the party. Clark County Republicans did go on to elect a new chair, but given the many alt-right board members remain I have little confidence there will be much difference seen as the fringe elements within the party are riding high on Trump’s win as if he and he alone is all that matters, even locally. I am also taken aback somewhat as I see some elected officials the party blasted and wanted to outright oppose in the last election, now promoting the party fundraisers for them. I have gone to bat for, supported and ran interference for some only to now see them align with the ones that stabbed them in the back, pretty much leaving me with egg on my face. I hope they never again expect my help or assistance as it won’t be there. This blog and me personally have been under fire from the alt-right elements of the Clark County Republican Party for quite some time because I had the audacity to shine light on their underhanded dealings. Few if any stood with me publicly as the very fringe elements I warned of for several years seized control of the party and began their purity purge of eliminating people not of their mindset. I saw some I considered my friends recruited to oppose and smear me as lies and fabrications were foisted by some of those alt-right elements. Their efforts had nothing to do with it, but November 23 saw me suffer my first heart attack (I pray my last) with me hospitalized for a week at the Portland Veterans Hospital. I am fortunate I feel, as my Dad died of a massive heart attack in 1980 at the age of 54. I’m now 68. Due to this and other considerations I have seen fit to curtail much of my blogging activity as I now have difficulty even selecting candidates I deem worthy due to the actions of some listed above. 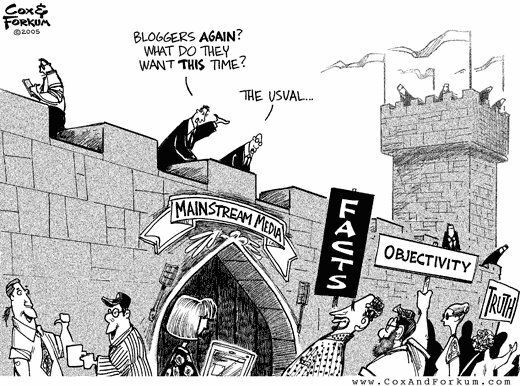 It will be a change for me as I first got the blogging bug in 2004 when I was recruited to be an admin on the discussion forum of the Swiftboat Veterans and POWs for Truth. 2005 saw my first effort that frankly, wasn’t very much, but got me started. Prior to Clark County Conservative, I honed my writing on another blog that remains open, Right In A Left World but I rarely contribute to now. I was honored to also be recruited to guest blog and call in weekly to a local radio hosts program for some time that for reasons I still do not understand, went sour. I was honored and surprised to be selected as the Best Local Politics blog in 2012 by Stateside Associates given I had not applied or sent them any of my work. Overall, my blogging efforts have seen me exceeding well over two million hits with literally thousands of posts and comments, some in agreement and several in opposition. Not quite what would be seen by major media or national blogs, but not too shabby for little local blogs. As we close out 2016 and face whatever 2017 has in store, I view the election of Trump with great apprehension, but also have full confidence we will survive as our nation is much bigger than any single elected official. As said earlier, my blogging will be less as frankly, I have little stomach for the bombastic, vitriolic words spewed daily by others that are over impressed with their experience or abilities. Hatemongers as that will eventually fall on their own, done in by their own narrow views, hate and anger. Well I won’t fault you for stepping back one bit. I will say that those who are elected and attempting to show support for the county party are seriously hoping to see positive party change. They are trying to help. While I won’t hold my breath I do hope that they are successful as it would be in the best interest of us all. I appreciate the Republicans elected who fought to win office in the face of severe opposition from within the party leadership. I appreciate the fact that they won handily without the assistance of the county party. It shows me that people, such as yourself, recognize decent people doing the hardest and best for us. I also appreciate the fact that they represent all of us and that includes those who opposed them so their considerable grace in out reach to the whole community is showing itself by starting to work on it from the inside of their own party. I will not let my guard down but I will not quit being a real Republican either at this time. So glad you are around and do hope you find topics worthy of your time and effort to blog about. Any that wish to place any hope in the party are more than welcome to. But, after the crap they have thrown at me, worse then any Democrat ever did, I have absolutely no confidence in the Republican Party at any level, but primarily Clark County. I wouldn’t hold my breath on any changes as long as the alt-right fringe holds any power at all. I know the feeling. The Democrats have treated me better generally speaking as well. Do plan to come and enjoy an evening with us at the PAC event. How ironic that the Democrats are more civil to you than are the Republicans. I guess the Democrats tend to eat their own too, so maybe it evens out somewhere. I briefly held out a bit of hope for Trump, but then he started appointing heads of multinational corporations and bankers to his cabinet. Very clever of the oligarchy to plant him there to capture the votes of the dispossessed and downtrodden and those hoping to throw off the shackles of governmental oppression.